In the late 19th century scientists and inventors stumbled across a peculiar phenomenon that allowed for the electrical communication of messages without the use of wires. This phenomenon became known as wireless or radio and revolutionized marine safety. Early low frequency (LF) radios were crude and required a skilled Morse code operator. By the early 20th century, many ships at sea had adopted this technology for communication with other ships as well as shore stations for both convenience and commercial reasons. This rudimentary technology saved many lives when the RMS Titantic sank in 1912. However, the officials at the time realized that more could have been saved if there had been a co-ordinated and mandatory use of radio technology at sea. Regulations were adopted that required ships to have wireless communication systems installed and to ensure a skilled operator was on watch throughout the voyage. As the 20th century progressed, long distance communication combined with day and night radio operation moved largely to the medium frequency (MF) and high frequency (HF) bands. A skilled radio operator was still required to maintain and operate the equipment. The development of radar in World War 2 resulted in many rapid advances in communication technology and opened the very high frequency (VHF) bands for practical use after the war. The basis for effective real time communication existed but it relied on the whim of nature to allow for predictable long-distance communication and still required the skill of a trained operator to ensure messages could be reliably sent and received. With the dawning of the space age, satellite communication eliminated the reliance on the highly variable nature of shortwave communication and brought advances in location technologies such as the Global Positioning System (GPS). In 1979, a new system called the Global Maritime Distress and Safety System (GMDSS) was established to provide the communication necessary for a global search and rescue plan. GMDSS was the melding of all of the effective technologies developed over a century of experience to improve safety at sea. In 1988, the SOLAS Convention was amended requiring ships to carry GMDSS equipment such as NAVTEX and satellite emergency position-indicating radio beacons (EPIRBs). Once these devices had become common place on commercial vessels, manufacturers realized that there was a place for this technology in the recreational boat market. The technology was now not only affordable, but it also did not require advanced skills to operate. The way was clear for recreational boaters to take advantage of the latest advances in maritime safety. EPIRBs or pocket-size personal locating beacons (PLBs) initially worked with polar-orbiting satellites which would calculate the beacon’s position as they passed overhead. Capable of broadcasting on both 406 MHz and 121.5 MHz, they could only provide a position accurate to within a couple of nautical miles and could take a minimum of 90 minutes. With the introduction of GPS into an EPIRB or PLB, satellites using the Cospas-Sarsat system could update the position every 50 seconds and were accurate to within 300 feet. COSPAS-SARSAT is an international cooperative, satellite-based, radiolocation system for aviators, mariners and land travellers in distress. COSPAS is the original system developed by Russia in the mid-70’s and SARSAT was developed in parallel by Canada, France and the USA. COSPAS-SARSAT comprises of a number of payloads on low earth orbiting and geostationary satellites monitoring for distress calls, 24 hours a day. These satellites are, in turn, monitored by earth based search and rescue co-ordination centers around the world to ensure emergency responses occur as quickly as possible. Many boaters have a VHF radio installed on the boat but, while cruising local waters, usually communicate via smart devices. In an average boating year, the VHF radio is simply not used that much. If you fall into this category, you should consider that a VHF radio call provides more reliable communication in an emergency, especially in the geographic environment of the Pacific Northwest. It may be time for you to take a look at some of the upgrades available, such as Digital Selective Calling (DSC) and the Automatic Identification System (AIS) which significantly improve situational awareness and safety. A VHF radio equipped with DSC allows boaters to send out a distress signal with the push of a button. A Maritime Mobile Service Identity (MMSI) number, programmed into the radio, will supply rescuers with an exact position and information regarding your vessel. These radios are available in both handheld and fixed installation models. You can obtain an MMSI number for your boat’s VHF radio in the US, through an FCC and US Coast Guard approved boating organization such as Boat US, Sea Tow or the US Power Squadron. In Canada, you can apply online at the Industry Canada website. If you are a US recreational boater who plans to travel to a foreign port, you will need to apply for a ship station licence with the FCC. You are still allowed to travel in international waters without a ship station licence however, you can’t travel to or communicate with a foreign port without the licence. Another incredible advancement in marine communications is AIS. When asked about AIS, I often use the example of exchanging virtual boat “business cards" on the water. AIS information includes the vessel name, call sign, vessel size, and navigation data such as present location, course on ground, and speed over ground. AIS information can be used on its own, but most often the information is displayed on your boat’s chartplotter by overlaying each AIS target's physical location, COG, and other information in relation to your position and COG. Some chartplotters will even predict potential collisions and warn the operator. Since AIS information is transmitted over VHF frequencies, it does better than line of sight, and commonly is able to receive AIS broadcasts over low mountains or islands. Unlike radar, AIS can "see" around corners. This can be a huge safety benefit in inclement weather or when navigating the many islands and passes of the Pacific Northwest, and it is a great complement to your existing radar. Also, because AIS includes the vessel's MMSI number and name, hailing a particular ship over VHF can be simplified. An MMSI number is required in order for any AIS device to operate as a transmitter. AIS is a fully automated tracking system used to identify and track other vessels visually, as a method of collision avoidance. 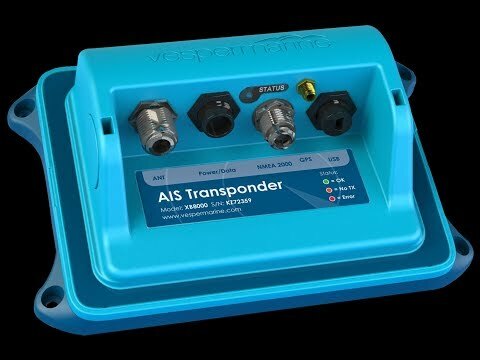 Passenger ships, such as ferries, tugboats and most large commercial vessels, have a Class A transceiver (12 watts), to send and receive AIS information on VHF frequencies. Each ship transmits a unique identifier (MMSI) and its current coordinates, plus information like navigation status, SOG, COG, the name and size of the vessel, and even at times its destination. Some recreational boaters opt to transmit AIS information using a Class B transceiver (2 watts). AIS information is free and no subscription is required. All you need to take full advantage of AIS is a VHF or AIS antenna and AIS receiver (and/or transceiver), plus a compatible chartplotter or smartphone/tablet. 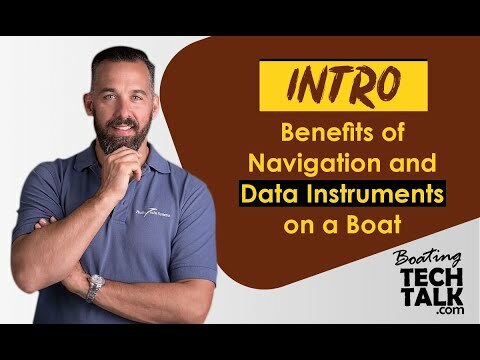 There are a number of apps that provide AIS information but they should never be used to make navigational decisions as the navigation information updated on the app might be outdated. Receiving old data is not useful for predicting a potential collision. For an online example of AIS information visit marinetraffic.com. Most boaters agree that being on the water is about getting away from it all but for some of us the internet has become an integral part of boating. No longer just for work and updating family, having a good internet connection on your boat allows you to access real time weather conditions, update navigation software and communicate with boats in your vicinity. With the advent of faster and more prevalent cell networks we now have three different methods of wirelessly connecting to the internet: WiFi, cell networks and satellite. Offshore or global boaters rely on satellite connectivity which is far more expensive than land-based internet. Nearshore boaters have, typically, relied on marina WiFi connections or a cellular hotspot through a smartphone however the service is spotty and can be unreliable. Boaters are now installing cellular modems, routers, amplifiers and external cellular antennas to establish a dedicated connection that can be broadcast for use on multiple devices aboard the boat. 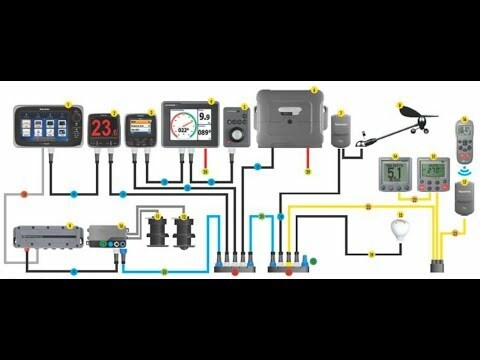 One of the most common solutions for boaters is to purchase a smart hub that allows you to install a dedicated modem on your boat so that all of your devices, including newer chartplotters, can be connected continuously. These hubs offer much higher speeds and most companies offer monthly plans so you can use it during the cruising season. The one challenge with the Pacific Northwest is that there are some great bays and anchorages that are not close to a cell tower. To solve this, you can install an external antenna, amplifier or booster. 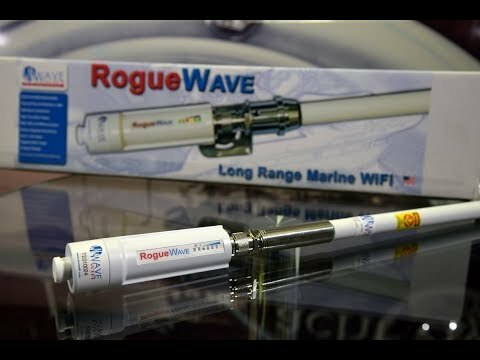 There are two main types of external, marine antennas. Directional antennas, as the name implies, refers to signal coverage in a specific direction. Also referred to as uni-directional or beam, these antennas are good for use in a marina where you can point the antenna to fixed point on land. The second type, Omni directional antennas, have a radiation cone of 360 degrees, but are designed to radiate most of the signal near the ground and not into space. These antennas are by far the most popular choice as they don’t require any adjustments and are good for boaters as they move from one location to another or while swinging at anchor. Cellular boosters or amplifiers require at least some signal to boost, if there is no outside cell signal then the booster will not work. Cell boosters come in two different flavors, one relays the boosted signal via a wired connection to another device (i.e. smart hub described above) and the other transmits the signal wirelessly via a directional internal antenna to any nearby cellular device. On my boat, I installed a Shakespeare Super Halo Cell Booster and have reported good service in places like Jedediah and Prideaux Haven. It is the first five-band cell phone booster with 2G, 3G and 4G voice and data but, for this system to work, there must be some cell signal. This powerful 462 square metre coverage signal amplifier, boosts cell reception of all US and Canadian mobile networks on all wireless devices. It ships with everything you need to plug and play, a 50dB adjustable marine cell phone signal amplifier, an omni directional outside antenna and a unidirectional inside panel antenna. Designed with boaters in mind, the unit will go dormant when not in use to save power. At the other end of the spectrum is satellite communications. Coverage is almost global but this comes at the costs of slower data connectivity speeds and expensive data costs. When boating offshore or on trips where cellular and WiFi connections are limited, satellite may be the only option. Connectivity speeds vary depending on the satellite system hardware and the technology used. Low end hubs allow light web browsing, voice communications, and downloading weather information. If you are looking at high bandwith applications like HD television then you will be looking at the very high end. 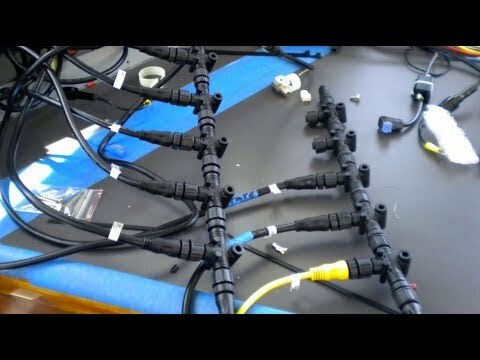 The two most popular options are a fixed satellite dish, like a KVH system, or a small lightweight system such as the Iridium Go, IsatHub or the SPOT Connect. These systems connect to a smart device and to the internet through a satellite, allowing short emails or text messages to be sent, Facebook and Twitter updates, and emergency SOS messages. A tried and true option for cruisers in remote areas is marine single sideband (SSB) which allows for an unlimited number of people to listen to a transmission at the same time. It is especially useful for ocean-crossing racing events or a group of boats travelling together and can allow the lonely solo sailor to have companionship on long voyages. SSB relies on HF propagation which, like the weather, varies constantly with the time of day and requires a radio license. A certain level of skill and experience is required to effectively use SSB radio. SSB products, like the Icom transceiver, have been on the market for over 20 years and offer a range in excess of 4,000 miles, and can be combined with a Pactor modem and SailMail to allow for brief emails while offshore. These advancements in communication have made staying safe on the water better than ever. Over the past 10 years alone, it has been fascinating to watch how all of these separate technologies have been integrated and work together. Radar and AIS overlays on multi-function displays have allowed boaters to go farther and see more. WiFi, cellular and satellite have allowed real-time access to weather information along with the ability to stay in touch with friends, family and fellow boaters. All of this interconnectivity has brought our community closer together and allowed us to enjoy the journey more than ever.